The Nature has created replicas of heaven all around the world - but reaching these heavenly places is as arduous and extremely difficult as aspiring to be granted heaven in the world hereafter. The oasis in the deserts are reached after a man is at his breaking point after walking without food and water for days. Likewise in the obscured mountain valleys, there lie man a beautiful lush green places with lakes of crystal clear water, orchards laden with many types of sweetest fruits and overlooked by snow clad mountains. But to reach these, one has to really labour through treacherous mountain tracks, requiring extreme performance of 4WD jeeps or walking for hours over stony treks to finally reach these one-in-lifetime sites. 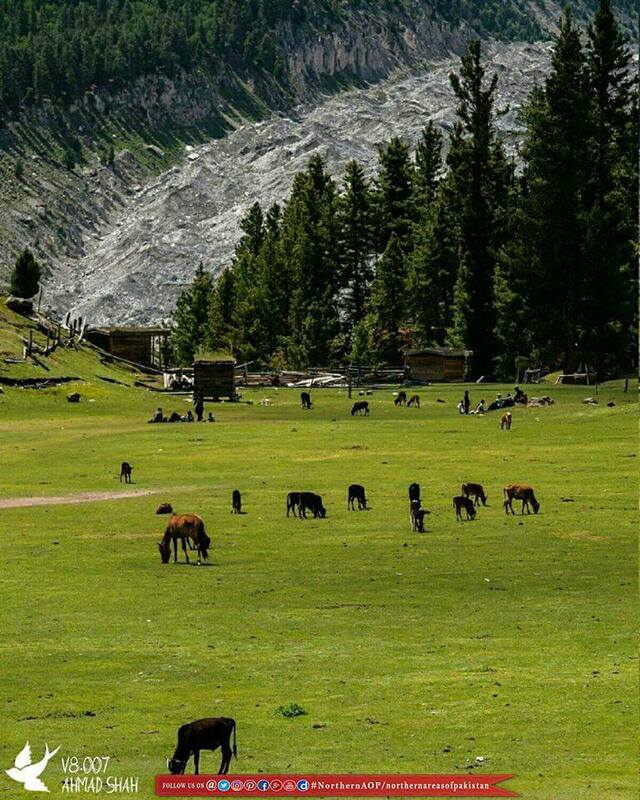 One of such heavens on earth is the Fairy Meadows in Diamer District, Gilgit-Baltistan, Pakistan. 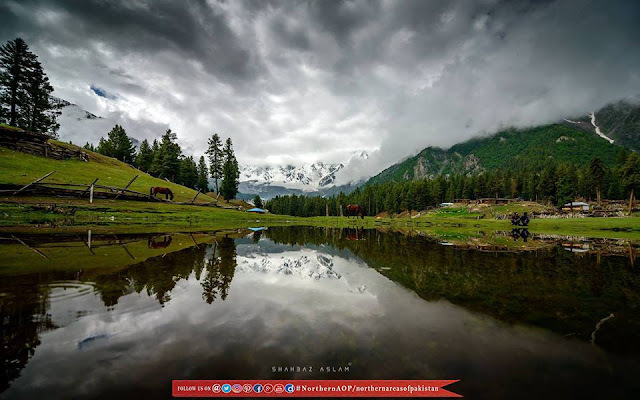 Located at an altitude of 3,300 metres, Fairy Meadows, which is called Joot in the local language was named "Fairy Tale Meadow or "Märchenwiese" by a German climbers on their way to scale Nanga Parbat. Fairy Meadows in fact is the gateway to the Nanga Parbat for trekkers attempting the Rakhiot face of Nanga Parbat. This heavenly grassland is located in the Raikhot valley, at one end of the Raikhot glacier which originates from the Nanga Parbat and feeds a stream that finally falls in the River Indus. 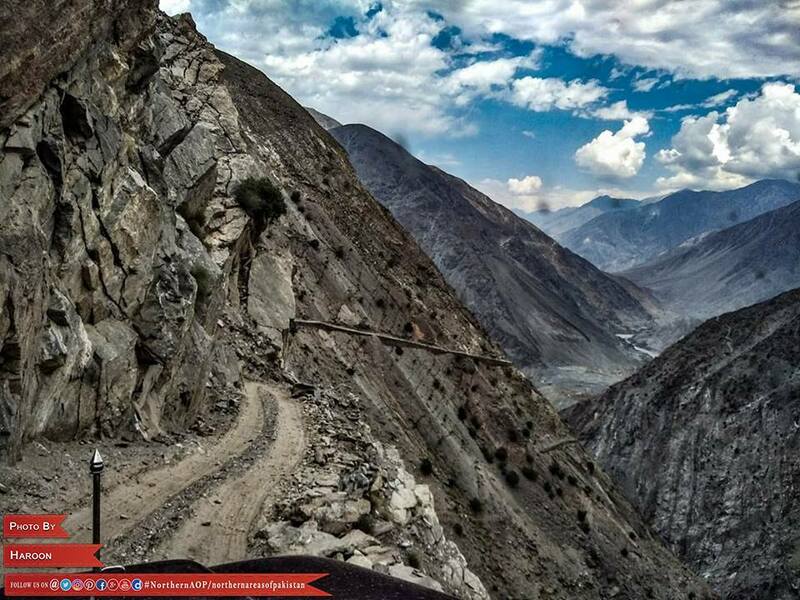 To approach Fairy Meadows, one can embark upon an 11 hours road journey to Chilas on the Karakorum Highway (KKH). From here at a distance of 61 kilometers is the Raikot bridge, where jeeps are readily available during the tourist season for six passengers per jeep. The road to Fairy Meadows then commences with a breathtaking twelve kilometers long jeepable track through a treacherous unstable gravel mountain pass, followed by yet another 3-4 hours of trekking on a five kilometers trek. In fact the drive is so dangerous that one is more worried about one's safety rather than enjoying the beautiful landscape one is passing through.